Premier League leaders, Manchester City have completed the signing of French centreback from Spanish outfit, Athletic Bilbao. 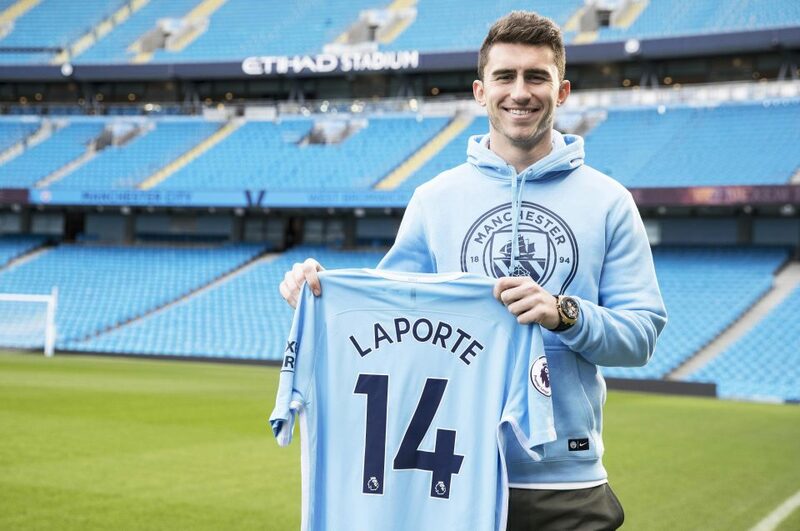 The Citizens have signed the 23-year- old player on a club-record deal and will wear the no 14 jersey. Pep Guardiola has long been an admirer of the classy defender, and tried to sign him when he arrived at Manchester City, though the player rejected the move at the time. City signed the defender after paying his £65m release clause in full. It makes him the club’s record signing beating the signing of Kevin De Bruyne in 2015, who joined in a £55m deal from Wolfsburg. “We both have the same style of play, so that’s great. Obviously having Pep Guardiola as manager of your team changes lots of things. He is a very prestigious manager and we must take advantage of that to learn and to improve.” he added. Laporte was widely regarded as one of the best central defenders in La Liga and has been consistently linked with a move to Barcelona, though any deal failed to materialize. He joins what is already a defence line brimming with quality and will compete with the likes of Vincent Kompany, Nicholas Otamendi and John Stones for places in the center of defences. Bilbao haven’t wasted time in replacing their academy graduate, announcing the £32m arrival of Spanish international, Inigo Martinez from Real Sociedad. Laporte will be able to make his debut in the Premier League clash with Burnley on Saturday and is also eligible to be included in City’s Champions League squad.